Search Engine Optimization (SEO) is all about making a website rank on SERPs like Google, Bing and other search engines. It is critical for online marketing. Right from small to large businesses, SEO has become an important parameter to get website visitors and, thereby, generate business organically. When it comes to results, you need to have patience as SEO is something which is governed by Google algorithms. Now a day’s brands always strive for online business sales. But the question is how these businesses get maximum visibility? It is through SEO. It is important because it keeps the search results fair. People have become net savvy and online reviews about a brand create a strong impact when it comes to making a brand decision. Hence, an online presence is significant in today’s digital age. It reduces the ability to manipulate these results as much as possible, so that the sites appearing for each search are there because they deserve to be there. A website that appeals to visitors has a probability to rank high on search engines .The higher you rank in results pages, the more clicks and traffic your site will generate. It improves user experience, making it more likely for customers to become repeat buyers. Users trust search engines, and achieving a top spot in search engine rankings signals to searchers that your site is a credible source. SEO is cost-effective. Competitive industries today spend large amounts of money on paid website traffic, therefore a real estate company should opt for SEO services to get better leads and increasing sales. Engagement, traffic and conversions are the three best reasons why brands opt for SEO. This is possible when website’s content is optimized properly using on-page and offpage SEO techniques. 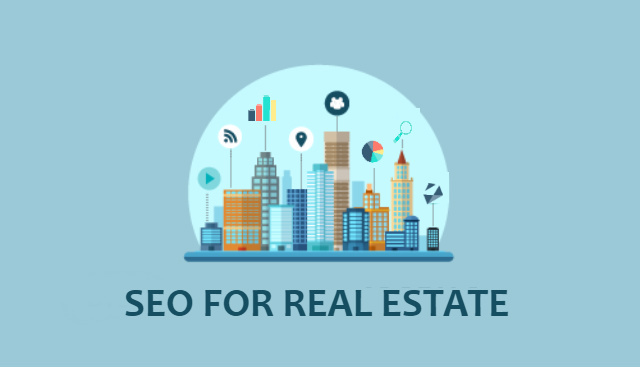 Is your real estate company looking for SEO services? We will help you know better. Stay tuned to our next blog to know how on-page SEO will help a real estate company like yours to rank better on SERPs and get maximum visibility. Would you like to implement SEO services for your real estate website? Get in touch with us. Futurescape advertising is one of the leading SEO services company based in Vashi, Navi Mumbai. We are also leading advertising and a comprehensive digital marketing company.